Ever wanted to golf where the pros golf? The Straight River Golf Course has an aboutGolf PGA Tour simulator program that allows players to play virtual golf at more than 100 different locations, including courses where the pros play, like Augusta National, TPC Sawgrass and Pebble Beach. Joe Lehrer, the owner of the club is using the virtual golf simulator as one of the many new draws for business. He’s opening a restaurant at the club soon and has renovated the golf course to appeal to a more casual audience. He’s also launching a 17th Anniversary Drive for members who want to join at a reduced price. 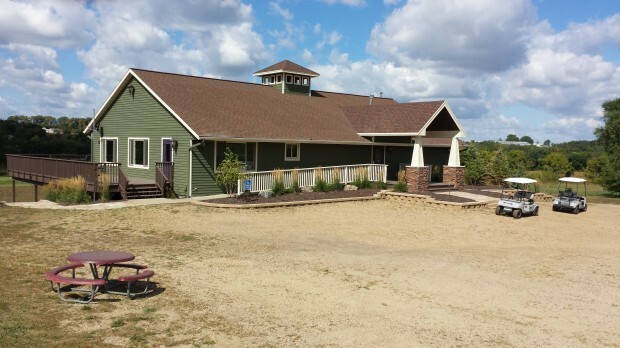 As for the golf simulator, Lehrer said he was inspired to check into the idea of getting one because the clubhouse was too big. 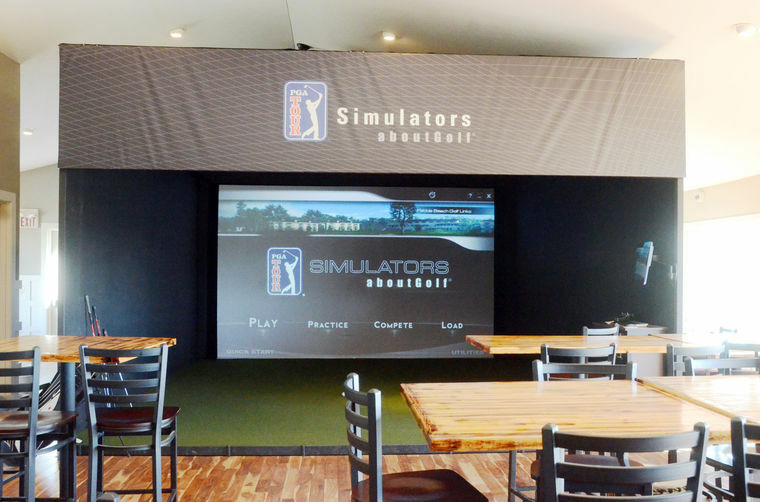 The space could be used more efficiently, so Lehrer and a business associate looked into four different simulators in the area and chose theirs because of the enhanced putting capabilities. The simulator took two days to set up and calibrate and since they set it up in January, the simulator has steadily been booked for rental Wednesdays, Thursdays, Fridays and Saturdays. Lehrer said the simulator can be an excellent training device for novice golfers. It can be used during golf lessons, as a driving range, and especially for days when weather shuts down the course. It also can be a great draw for the evening crowd that wants to play after the course closes due to darkness. Craig Angell of Le Center is one of the guests who frequent the club, and he said the simulator is a great tool to help grow the business. The simulator itself allows players to choose the course they want to play at, the time of day, the weather/conditions and even give themselves a handicap. Players can use a variety of clubs, and aside from the massive screen; it is like playing real golf. Lehrer said he wants his club to appeal to a more casual golfer and said their plan has been to market to families, couples and those new to general golf as a hobby. The physical course is composed mostly of par-3 holes, which allows the player to get a round of golf in much quicker than a typical course, and the soon-to-be opened restaurant with the virtual golf simulator give the club a bevy of features that can be enjoyable for everyone. “All we do is fun,” said Lehrer.